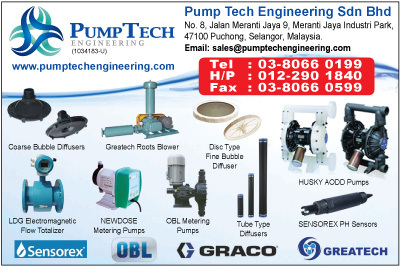 Pump Tech Engineering Sdn Bhd is a distributor and specializes in the sales and marketing of various quality products from all around the world. Pump Tech Engineering is made up of a group of well-trained and experienced staff force to serve customers throughout Malaysia and also oversea market. To serve with our best ability and provide quality products/service to satisfy every ones needs. At Pump Tech, our vision is to be the leading and trusted supplier - in the eyes of our customers, shareholders, communities and people. We expect the best and keeping our values top of mind.